A resolution between Blacks and Jews or another missed opportunity? 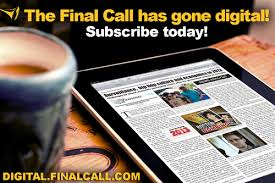 CHICAGO (FinalCall.com) - No sooner than the Honorable Minister Louis Farrakhan ended his monumental Saviours' Day 2011 keynote address to over 18,000 at the Allstate Arena, the controversy began. The Muslim leader's four hour plus speech was reduced in the media to sound bites regarding Libyan leader Muammar Gadhafi, a brief mention of recording artist Rihanna and an oblique reference to his words regarding L. Ron Hubbard and the Church of Scientology. Along with the attacks directed at the Nation of Islam regarding the book, “The Secret Relationship Between Blacks and Jews” Volume Two, the voice of Lonnie Nasatir, regional director of the Anti-Defamation League of B'nai B'rith in Chicago unexpectedly emerged in an apparent call for dialogue, breaking ranks with a longstanding “no-talk” policy of the ADL's national office. What follows is the transcript emailed to The Final Call by ABC7 Chicago’s Investigative Reporter Chuck Goudie of a portion of his interview with the ADL’s regional director Lonnie Nasatir. CHUCK GOUDIE: What would you recommend to the mayor-elect in terms of responding to what a citizen of his city [Farrakhan] has said about his religion? LONNIE NASATIR: If I were giving counsel to the mayor-elect I would say that it’s about time that we sit down with Minister Farrakhan to explain to him that if his goals are to bring communities together by coming out and doing what he’s been doing in terms of attacks against certain communities including the Jewish community and the gay community it is not something that Chicago needs right now. GOUDIE: So do I hear in there that there is an invitation to sit down with him and with the mayor or whoever might want to do it? LONNIE NASATIR: Invitation? We’d be willing to express our concern at what this kind of language can do, sure. CHUCK GOUDIE: Has there ever been an invitation offered to him to come in here and do that or to sit down with any group? LONNIE NASATIR: I can’t speak to my position. I have not reached out. I have certainly talked openly about my concerns but I have never been approached to sit down. In a March 2 ABC7 Chicago iReport, veteran broadcaster Chuck Goudie reported on the possibility of a meeting between Jewish community leaders, Mayor-elect Rahm Emmanuel and Minister Farrakhan. “The Anti-Defamation League seems open to a meeting with Farrakhan and Chicago mayor-elect Emanuel,” Mr. Goudie reported. In fact, Mr. Nasatir's words corroborating Mr. Goudie's statement were clearly heard. The apparent opening for dialogue, however, quickly closed and died—similar to efforts to have meetings between Min. Farrakhan and detractors from the ADL and other groups. 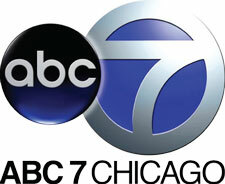 According to a March 4 posting by blogger Carol Felsenthal, for Chicago Magazine, Mr. Nasatir “pitched a story to ABC7 highlighting Farrakhan's intensified anti-Semitic statements,” but then claimed his words were taken out of context. According to Mr. Nasatir, Mr. Goudie “got 80 percent of the story right, but was absolutely wrong on the possibility of a meeting,” Ms. Felsenthal wrote. Mr. Goudie told The Final Call on March 7 he stands by his reporting. Mr. Goudie said he has not spoken to Mr. Nasatir since the interview. Messages left for Mr. Nasatir at his ADL office in Chicago were not returned by Final Call press time. Leonard Farrakhan Muhammad, a long-time aide to Minister Farrakhan is no stranger to this long-standing controversy with members of the Jewish community. He has been involved in numerous efforts aimed at resolution as Min. Farrakhan's chief of staff over the years. There have been Jewish leaders who have been open to meeting with Min. Farrakhan, however, the national level of the ADL's leadership usually prevents the meetings from taking place, or uses their influence to mischaracterize the meetings that have taken place. Mr. Muhammad spoke of Min. Farrakhan's meeting with businessman Edgar Bronfman and other meetings with prominent rabbis and members of the Jewish community here in Chicago as examples of other missed opportunities to make serious progress regarding the antagonism that has come to define the modern day relationships between Blacks and Jews. The late economist Jude Wanniski in writings defended Min. Farrakhan from specious claims of anti-Semitism. Minister Farrakhan has hosted Jewish rabbis at his home, visited a Jewish synagogue in Jamaica during foreign travels, and even has had Jewish rabbis speak at the Nation of Islam's Saviours' Day celebration—hardly the actions of one who holds a particular hatred against the Jewish people as claimed by some ill-motivated Jewish leaders. “Though there have been some breakthroughs, the national (ADL) office has always had the power to cause them to cancel the meetings and also placed in an untrue context, meetings that were held, if they were not able to get them cancelled altogether,” said Mr. Muhammad. Regarding Mr. Nasatir's reported claim to have been taken out of context, Mr. Muhammad said he heard his words clearly, as did everyone else who watched the TV news report. “Did he misquote himself?” asked Mr. Muhammad suggesting that if Mr. Nasatir is indeed backtracking from what he said, he may have been reprimanded at the national office level. “This is typical, usual and customary behavior for the ADL. I believe that the American people would prefer to see dialogue rather than the continuation of this public dispute when they are never willing to sit and dialogue to discuss. 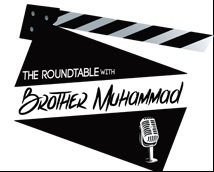 I believe personally, they never want to discuss it because they know that the truth is on the side of Minister Farrakhan and the Nation of Islam and they could not prevail in such a meeting,” said Mr. Muhammad. “Our community and the American people deserve better, and at some point, they will wish that they had sat down and dialogued with the Minister,” he added. Almost as if on cue, Abraham H. Foxman, the National Director of the Anti-Defamation League of B'nai B'rith in a March 1 statement expressed his displeasure that Black leaders do not share the ADL's view regarding Min. Farrakhan. “(P)erhaps what's more disturbing is that despite his anti-Semitic rants, he has not been made a pariah in his own community. What does it take for him to stop being a pied piper of hatred?” said Mr. Foxman in a statement. This is not the first time he has expressed such sentiments. His frustration is apparently borne from the fact that despite the ADL's incessant criticism and attempts to use their influence to malign Minster Farrakhan over a period spanning nearly three decades, he is still revered as a non-compromising defender of truth and justice for Black people and oppressed people all over the globe. Pressure exerted on Black organizations by outside forces, however, remains a major factor in keeping Black people disorganized and powerless. In Pittsburgh, a controversy brewed with the Jewish community in advance of Minister Farrakhan's scheduled March 11 appearance there. The decision by radio host Bev Smith and American Urban Radio Networks to include the Minister in a town hall meeting to discuss Black issues drew the ire of some Jewish leaders. In the Pittsburgh Jewish Chronicle over two weeks, executive editor Lee Chottiner, Jeffrey Finkelstein, president and CEO of the Jewish Federation of Greater Pittsburgh and David Ainsman, chairman of the Community and Public Affairs Council of the Federation, were critical of Ms. Smith and Pittsburgh's Black leadership seemingly, for inviting leaders that had not been pre-approved by the Jewish community to discuss Black issues. However, their efforts to undermine the event have been unsuccessful and appear to have even backfired. According to Ms. Smith, the event is sold-out and, according to a spokesperson for the August Wilson Center, an overflow room will be set up in order to accommodate even more people interested in solutions to the problems plaguing Blacks in Pittsburgh. Jasiri X who leads Muhammad Mosque No. 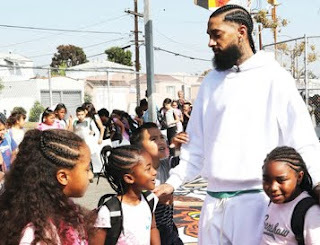 22 in Pittsburgh expressed his love and support for Bev Smith and welcomes the opportunity to discuss the hardscrabble realities of Blacks in the area. “To be honest, in my time living and working in Pittsburgh since the late 80s I had never heard of the Jewish Chronicle, until I was sent an article a week ago which expressed disappointment with the Honorable Minister Louis Farrakhan's upcoming visit to the city of Pittsburgh and even attempted to label Malcolm X an Anti-Semite,” said Brother Jasiri, also a popular hip-hop artist. On March 4, Ms. Smith, who is spearheading the town hall meeting themed “The Disappearing Black Community: And How We Can Get It Back” wrote an open letter responding to her Jewish critics. In the letter, Ms. Smith wrote she was “perplexed” and “outraged” that members of the Jewish community acted as if Jews were offended at the thought that Black leaders would come together to discuss issues affecting their communities without seeking Jewish input. Although Ms. Smith has thus far remained steadfast, resisting the Jewish pressure that has come her way, others were not strong enough to withstand the Jewish onslaught. In a March 7 posting appearing on her website bevsmithtalks.com, the radio host announced Melanie Campbell, president and CEO of the National Coalition on Black Civic Participation, had backed out of the town hall meeting. “A project that she (Ms. Campbell) has been working on to train African-American women and young girls across the country on how to navigate their way up America's economic ladder, could now be in jeopardy if she sits on stage with Minister Louis Farrakhan at the second Bev Smith Town Hall meeting,” wrote Ms. Smith. “Pressure from various Jewish and white Christian organizations has caused her to decline,” she added. Minister Farrakhan has always been the staunchest defender of young artists in the industry, and has always spoken words of guidance filled with love in a non-judgmental manner pointing to the hidden hands that often make merchandise of young male and female hip-hop and R&B artists. That's why many were surprised when entertainment industry bloggers began to discuss portions of Min. Farrakhan's Feb. 27 message in which he mentioned the popular entertainer Rihanna while making a general point regarding the filth often seen in the entertainment industry. A representative for Minister Farrakhan and member of the Nation of Islam made it clear on the popular site AllHipHop.com that Minister Farrakhan was not disrespecting Rihanna, and anyone who listened to what he said would agree. Min. Farrakhan made points about social decay and the lack of spiritual values and titillation of appetites in entertainment. But those forming opinions based on that which was reported in the media or passing on gossip and half-truths created the confusion, said supporters of the Minister. The full transcript of Min. 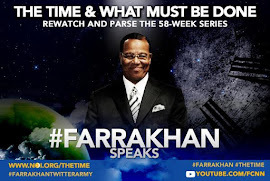 Farrakhan's words in context were posted as well as the video of his message in order to counter any ill-intended misinterpretation of his words. Rihanna has not made any comments in the media and any so-called “conflict” and “confusion” appears to have ended. A source of much speculation in the media has been Minister Farrakhan and the Nation of Islam's interaction with the Church of Scientology. 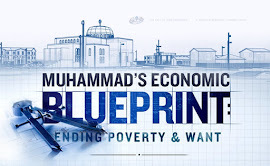 Addressing the recent work and training between the two groups, the Minister said he found something in the study of L. Ron Hubbard's technology of auditing that he believes could be of use to the Nation of Islam in service to Black people and humanity. Over the last few months, many members of the Nation of Islam have been dilligently studying to become certified auditors. On Feb. 25, Min. Farrakhan shook the hands of 642 individuals who had accomplished the goal of becoming certified. He also spoke of his respect for Mr. Hubbard, and his importance to Whites. “L. Ron Hubbard is so exceedingly valuable that every Caucasian person on this earth—all Whites—should flock to L. Ron Hubbard,” said Min. Farrakhan. The very reason why L. Ron Hubbard might be so hated is because he sought to end this world and civilize Whites by taking away their reactive minds, or racist minds, he added. “Mr. Hubbard recognized that his people had to be civilized, he never wanted to continue this world nor did he try to save this world. He was trying to prepare a people to build a brand new world and a brand new civilization,” said Min. Farrakhan. 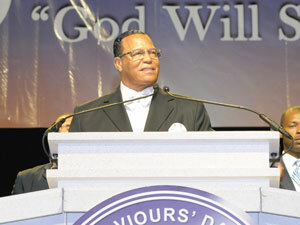 Mother Tynnetta Muhammad told The Final Call that Minister Farrakhan's words to Caucasians are especially instructive. “They too, are amazed and puzzled over their own nature so he (Min. Farrakhan) made that comment that Scientology or Dianetics should be studied by all Caucasians because they are the psychotic mind that came to dominate and rule over the planet. And through their own psychotic mind and destructive tendencies, violence and hatred of all of those who were not identified as members of the White or Caucasian race, but they also vent that anger—as we see in history—against each other,” said Mother Tynnetta Muhammad. 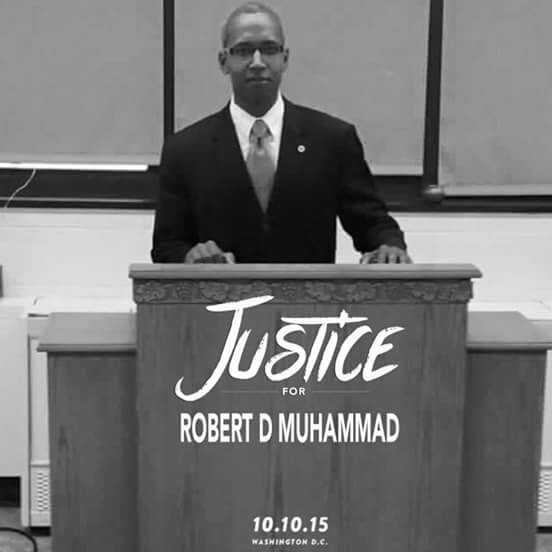 Regardless of the continued attacks in the media and allegations leveled at Minister Farrakhan and the Nation of Islam by those intent on mischief-making seeking to drive a wedge between the beloved Muslim leader and segments of the Black community, the spirit of Saviours' Day 2011 is proving to be a vehicle of unity. 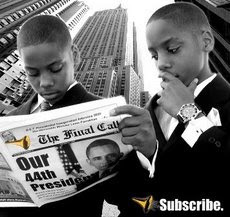 The impact of this year's Saviours' Day in particular has been far reaching because of the plenary sessions being made available online. In fact, articles regarding the Nation of Islam's session on what are commonly called Unidentified Flying Objects have appeared on websites in Brazil and on Spanish language websites. Other websites and tweets paid tribute to Saviours' Day, which drew thousands to Chicago and saw information about the website and the weekend spread far beyond the Nation of Islam. “The fact that we had four major plenary sessions that were all webcast live was well-received and I know for a fact that we had people overseas watching them,” said Ademah Muhammad, Saviours' Day director. People from all walks of life were given the opportunity to see for themselves the truth and beauty of the teachings of the Honorable Elijah Muhammad and the Nation of Islam. “It's getting clearer and clearer not only to ourselves but to the rest of the world that we contain a body of knowledge that goes back through to 1930 and that very little attention has been paid to in the past over the several decades since our founding by Master Fard Muhammad,” Mother Tynnetta Muhammad told The Final Call. “So much ill-propaganda and abuse has been put on our shoulders ever since we came into being that today the public is keenly aware that they have to review their perception of who we are, and what we represent and what our future destiny is going to be especially with revolutions and turmoil going on all around the world,” she said.